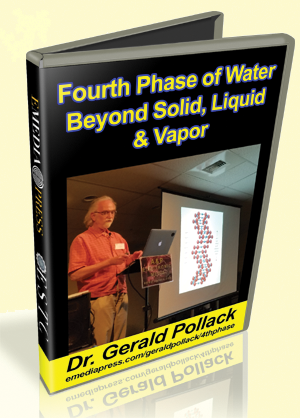 Gerald Pollack is a science rock star. I love this program. A bit of sanity and non crisis thinking is helpful during these crisis times. It is a reminder that nature is way more subtle than we can usually imagine. I have also seen sharp changes when water gets cold, reverse osmosis systems have all had issues when the water gets to close to freezing. most people don't have 34F water out of the tap, so I wonder if most people have not noticed the issue of some sort of change. water also does not clean dishes very well that cold, and it seems to me that the temperature cut off is sharp and not linear like you might think things just getting cold would do.